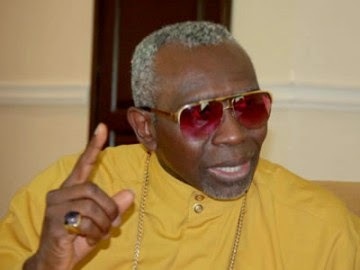 Christian Association of Nigeria (CAN) President Pastor Ayo Oritsejafor spoke about the non-stopping attacks being launched by Boko Haram insurgents all over the country. Speaking in Abuja at the National Conference on Voices against violence, Oritsejafor said the terrorists aimed at establishing an Islamic state in Nigeria, The Nation reports. The pastor also explained he can’t think of being the one to lead the dialogue with Boko Haram: they "will not listen to me because I do not have the same ideology they have". However the CAN head claimed he was not against the dialogue adding that the negotiators should be the Muslims religious leaders, traditional leaders and Muslim political leaders. "If we want to end the Boko Haram insurgency, we as Nigerians must speak the truth. That is the major factor. Boko Haram has an ideology, Muslim leaders should engage them and tell them the truth." According to him, traditional rulers can render substantial help with the situation, especially in the north, mostly affected by insurgency. Oritsejafor insisted that Christians and Muslims can and should work together for the sake of peace in Nigeria, adding that such cooperation should be based on telling the truth. "They [Boko Haram] are out to establish an Islamic state. Most of these bad groups around the world want to establish Islamic states. I do not hate the Muslims but the truth must be told. So many Muslim leaders should take time and visit Christians who are victims of Boko Haram like we Christian leaders do." Meanwhile more than 250 school girls abducted in Chibok, Borno State, by Boko Haram insurgents are still held in captivity since April 14. In the video released weeks after the kidnap the terrorist group leader Abubakar Shekau showed the missing girls and said they had been converted to Islam.